Rhode Island does not give its citizens access to any legal sports bets. Besides pari-mutuel racing (and limited electronic gaming machine availability at those tracks) and access to state and multi-state lotteries, Rhode Island is strictly against gambling. Even social and charitable games come under harsh scrutiny, and you may face stiff fines for participating in these activities. The Ocean State itself is the smallest in the country, and only home to about a million people. The state is so small, you can walk across it in the time it takes to play 18 holes of golf. The fact that the state is so small may have something to do with the lack of available sports wagers – after all, there are no pro sports teams in the state, and few people in the state to offer wagers on sports too, anyway. Here are some details about sports betting in Rhode Island, along with a look at the legal status of sports bets in the state. Rhode Island isn’t home to any pro sports teams. However, the state is located close to several flagship franchises in all pro US sports leagues. This interactive Twitter map shows that Rhode Islanders tend to be New England Patriots fans. The same goes for baseball in Rhode Island, where most citizens pull for the Red Sox. The Bears call Providence home. Brown fields 28 different varsity squads, the third-most in the nation. Brown currently plays all sports in the Ivy League Conference. The big sport at Brown is Crew – the men’s and women’s teams are perennial title contenders, with the women’s team holding seven titles, and the men’s team holding nearly double that. As for major NCAA sports, the Bears compete in the NCAA Subdivision in football, but have no national titles to their name. Located in tiny Smithfield, the Bulldogs compete in NCAA Subdivision games in the Northeast Conference. Bryant is best-known for its dominance in Subdivision basketball, where the team is an annual presence in the postseason. Providence College participates in the Big East Conference in every sport except for Ice Hockey. Football and baseball were dropped in decades past, so Providence’s main claim to fame is its D-1 basketball team. The Friars made it to the NCAA Final Four twice in the 70s and 80s, but are notable these days for making multiple trips to the March Madness tournament in the past five years. Home for the Rams is little Kingston, Rhode Island. The Rams participate in NCAA Division 1 competition in the Atlantic 10 Conference in all sports except football, which participates at the Subdivision level. The Rams are best-known as a basketball team, having made eight March Madness tournaments overall. I am not a lawyer, so you shouldn’t take what I’m about to say as legitimate legal advice. I’ve read Rhode Island’s gaming laws and I’m going to interpret them a bit for you, and that’s it. If you want legal advice, consult a lawyer familiar with Rhode Island gaming legislation. 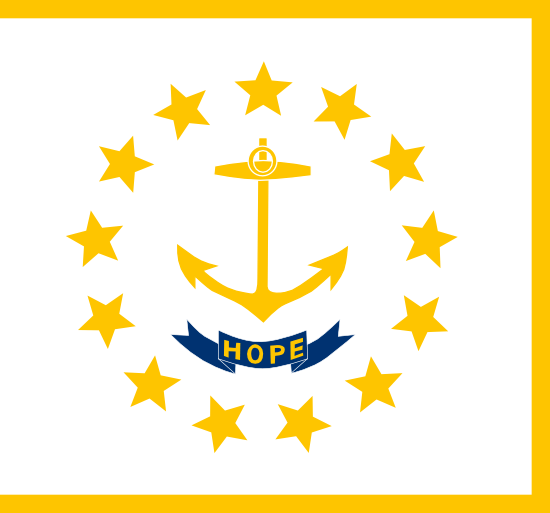 The Ocean State is another example of a US state with confusing gambling laws. Gambling law in Rhode Island is simply unclear – the state doesn’t define the word “gambling,” for starters. That makes it difficult for anyone to say what exactly is illegal and what isn’t. Like other USA states, Rhode Island law is very clear on what sorts of games of chance are prohibited, which isn’t exactly the same as defining illegal gambling, but comes close. In Section 11-19-1 of Rhode Island law, it is said that “… any lottery, chance, game, or device of any nature or kind whatsoever, or by whatsoever name it may be called” is prohibited. How does the state prohibit it? By finding people who HOST these games guilty of a misdemeanor or felony. That’s right – only people who “… directly or indirectly set up, put forth, carry on, promote, or draw” the games above are guilty of a crime. So is sports betting online legal in Rhode Island? As long as you aren’t profiting from providing online sports bets, you don’t appear to be in violation of state law. The downside to this way line of thinking is that Rhode Island has some pretty harsh penalties in place for people who commit gambling crimes. For instance, if you’re guilty of “inducing others to visit a gambling place,” you will spend at least one year in jail. How do you stay right of that harsh law? Do not “… invite, entice, persuade, or induce any other person to visit any house, room, or other place kept for the purpose of gambling, with the intent that that other person shall at that place engage in gambling or playing at any game of chance, for money or other valuable consideration.” You’ll find that in Section 11-19-20 of the Rhode Island criminal code. Rhode Island is not a pro-gaming state. It’s politically-moderate, but the small size and population of the state means that gaming has never been a big part of the local economy. A handful of pari-mutuel facilities with slot and video poker terminals are enough to satisfy the gambling needs of this smallest of American states. © 2017 SportsBettingExperts.com. All Rights Reserved.